This overview should help you decide what’s better for you: Kindle Owners’ Lending Library or Kindle Unlimited ebook subscription. Amazon offers two services that let users read Kindle ebooks for a fixed fee instead of buying individual titles. It causes a lot of confusion among users. 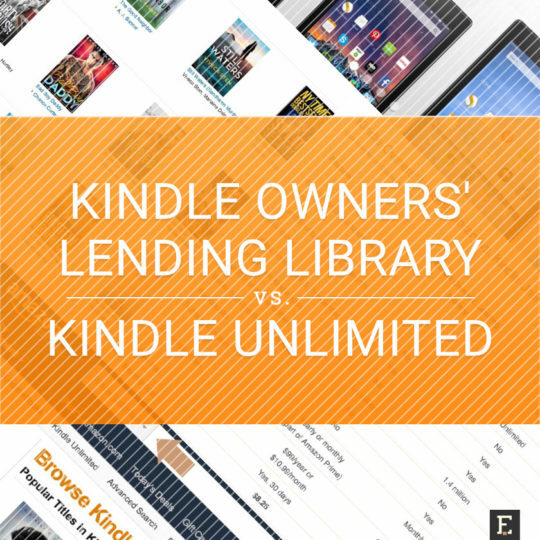 There is no such thing as “Kindle Unlimited Library” or “Kindle Owners’ Lending Unlimited”. These two subscription-based services are completely separate. Kindle Owners’ Lending Library, also known as KOLL, is not a way to borrow for free the Kindle ebooks from a public library. It is a part of Amazon Prime membership program that costs $99 a year. KOLL lets you borrow one Kindle book a month with no due dates. 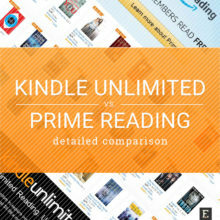 Kindle Unlimited is separate from Amazon Prime and Kindle Owners’ Lending Library. 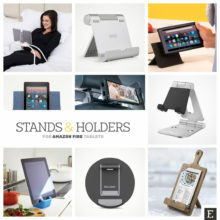 This is a standalone ebook subscription service with a monthly fee of $9.99. You can read an unlimited number of books in a month, but you can keep on your device only 10 books at the same time. You may immediately conclude that KOLL is for occasional users while Kindle Unlimited – for avid readers. You are absolutely right. Taking the 20/80 formula as a reference, we can say that Kindle Unlimited is for 20% of users who generate 80% of sales. And Kindle Owners’ Lending Library is for 80% of users who generate 20% of sales. Now, the term “sales” in this particular case is not proportional to the number of books read, because we deal with fixed fees, and not prices of single titles. So, the more you read, the more money stays in your wallet. Read also Kindle Unlimited or Amazon Prime Reading – which service is better for me? These two services are not directly competing with each other, so what’s the point of putting them side by side? If you are into ebook subscription, you’d find the comparison between Kindle Unlimited, Scribd, and Oyster, much more helpful. 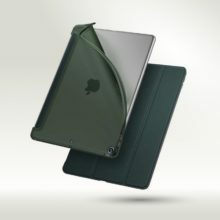 I believe that there are many users who can’t decide whether they need the ebook subscription at all. 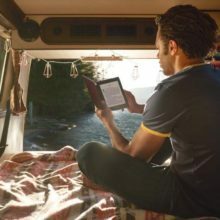 Kindle Owners’ Lending Library is a part of a basket of services that also guarantee other forms of entertainment: watching movies or listening to music. This comparison will let you make up your mind: whether Kindle Unlimited is too much for you. Or maybe KOLL is not enough. Data collected on October 12, 2015. We will compare major features later in a post, so now just a remark that each service can be tested for 30 days. You can sign up to find out which books are offered and whether there are enough to justify the purchase. After 30 days, you’ll be charged with a first fee. You can cancel the membership any time. This is fine with Kindle Unlimited where you are charged every month. Things are more complicated with Amazon Prime and Kindle Owners’ Lending Library. You will be charged for a yearly membership. Therefore, make sure to set up a reminder to for yes/no decision on the membership before the 30th day from starting the free trial. 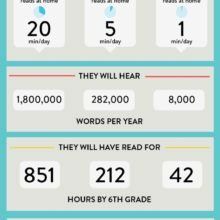 You will be able to read at most one book per month in Kindle Owners’ Lending Library. Even if you finish and return it, you can’t borrow the next book before the month’s end. Kindle Unlimited gives much more flexibility. You can read as many books as you can handle. It could be just one or it could be 30 (if you are able to read one book a day). However, there is one major limitation. You can keep only 10 Kindle Unlimited books at the same time. Now, the bad news for users who prefer KOLL. You can read Kindle Owners’ Lending Library only on Amazon devices. 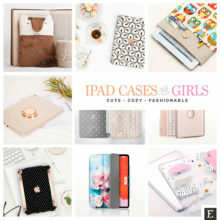 You won’t be able to access them from a Kindle app on the iOS or Android tablet or phone – even if you are an Amazon Prime member. 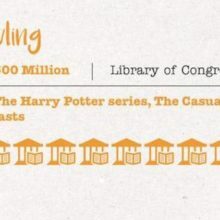 It’s important that people know about this limitation of Kindle Owners’ Lending Library. 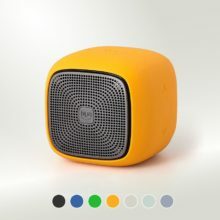 Some users buy Prime without checking out whether they can use KOLL if they don’t own a Kindle e-reader or a Fire tablet – and they can’t. 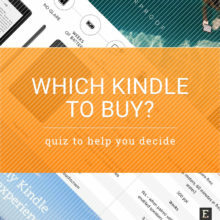 Does it pay to buy the Kindle or Fire to get access to Kindle Owners’ Lending Library? 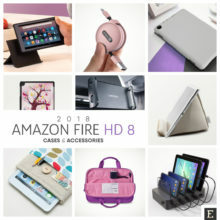 If you take the cheapest Fire 7 tablet that costs $50 and buy Prime instead of Kindle Unlimited, the total price will be $150 instead of a $120 for a yearly cost of Kindle Unlimited. 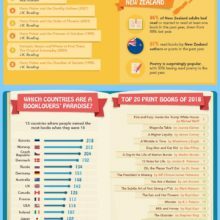 a majority of books cost less than $5 – it’s because there are no books from the Big 5 publishers, which are usually expensive. Lack of the bestselling titles from big publishers is the weakest point of both Kindle Owners’ Lending Library and Kindle Unlimited. published by Amazon’s imprints (Thomas & Mercer, Montlake, and a few others). As you see, almost half of the Kindle top sellers are included in the subscription services. However, when you go through the titles, you’ll realize that these books don’t come from famous authors, like Nora Roberts, Lee Child, or James Patterson. Why? Because the most famous authors have contracts with the Big 5 publishers. And the Big 5 publishers – as I already mentioned – didn’t agree to include their books in subscription-based services offered by Amazon. The next thing which is common to KOLL and Kindle Unlimited is the average price. The books are usually under $5. You’ll rarely find any book that costs above $10. What does it mean? 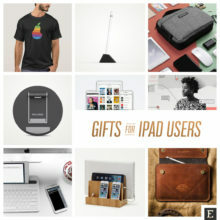 It affects the price attractiveness of each service. One book per month pays off if the book costs $10 or more. With Kindle Owners’ Lending Library, you’ll save $2.99 or $4.99 – the usual prices for the books included in the service. You can save more than $10 with Kindle Unlimited – on condition you’ll read more than two books that cost $4.99 or more than three books that cost $2.99. In both services, when you cancel the membership, you’ll keep the books until the next billing date. Please remember that for KOLL, as a part of Prime, the membership is being paid once a year – $99. For Kindle Unlimited, it’s once a month – $9.99. The day after the end of the subscription, your book (KOLL) or books (Kindle Unlimited) will be gone from your Kindle account. You will, however, keep all the notes and highlights. You will be able to access them online at kindle.amazon.com. Technically, it’s possible to keep the books for a longer time. This can happen if you have them on a device that is not connected to the internet. Therefore, your Kindle e-reader or app won’t be able to sync the content and check out its status in the cloud. Kindle Unlimited and Kindle Owner’s Lending Library are different services and there are different indicators across Amazon site that an ebook belongs to each one. However, as I mentioned above, the offer of both services is almost the same. Therefore, if you find out that the book belongs to KOLL, it will usually belong to Kindle Unlimited – and vice versa. 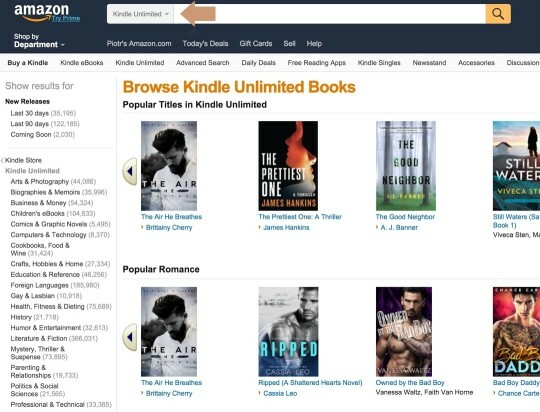 The easiest way to check the availability of the books from your wishlist against KOLL and Kindle Unlimited is to browse the Kindle Unlimited catalog. It’s because using the search box here will limit the results only to Kindle Unlimited eligible books. Type the title of the book in a search box, and you will immediately know whether it’s available in Amazon’s ebook subscription services. The only exception I’ve found is Harry Potter books. They are included in Kindle Unlimited but you won’t borrow them via Kindle Owners’ Lending Library. Many users believe that the monthly subscription fee of Kindle Unlimited could equal the cost of a single Kindle book. It is true if you compare the fee to the price of a bestseller, such as Harper Lee’s Go Set a Watchman, which is $14.99. There is only one problem. The book was published by HarperCollins. HarperCollins is one of the Big 5 publishers, therefore the book is not a part of either KOLL or Kindle Unlimited. You should assume the value of the book you get from Kindle Unlimited or Kindle Owners’ Lending Library will be something between $0.99 and $5.99. With the average price at $3.32, you will need to read three Kindle Unlimited books per month to break even. But you can’t borrow three books via KOLL, only one. Every month, you will not break even, comparing the $0.99-5.99 price range with the monthly cost of $8.25. Fortunately, Kindle Owners’ Lending Library is a part of the larger service, and should be treated this way. You shouldn’t join Prime just because you want access to KOLL. 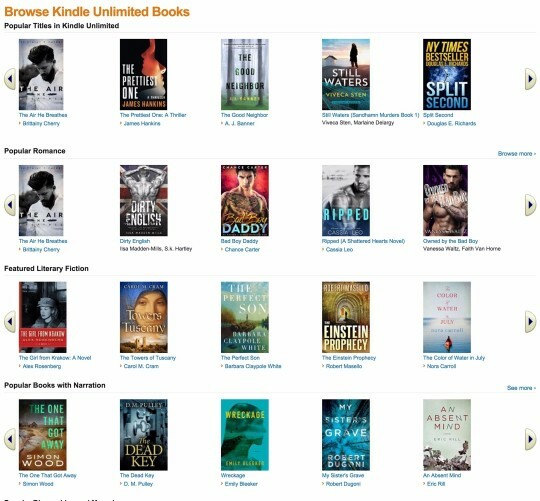 If you want to find out how many and how good are the most expensive books that belong to Kindle Unlimited, and therefore KOLL, check out the KU catalog sorted by price: from high to low. Are you going to read any of these books, really? What to choose: Kindle Unlimited or KOLL? This set of recommendations will change totally the day after the Big 5 publishers will finally agree to include their books in Amazon’s subscription services. the biggest benefit of Kindle Unlimited is that there are lots of books to read in popular genres. If you are an occasional reader, and just want to read the current hottest bestsellers, neither Kindle Unlimited nor KOLL will give them to you. But there are many interesting romance books besides the ones written by Nora Roberts, right? This is where Kindle Unlimited shows its strength. For any avid reader who is constantly looking for new books in her favorite categories, there will be a plenty of titles to pick up, and plenty of new authors to discover. Discoverability… I’ve heard that Kindle Unlimited could be a great tool to test new books from new authors. You know, getting a free trial and testing any book you wish to finally decide which authors to put on your wish list. On the others side, you don’t have to use Kindle Unlimited or KOLL for that. Don’t buy the Kindle book – download a free sample instead. You’ll be able to decide whether you like the book or not after reading the first chapter. If you are a Prime member and one book per month is not enough, think twice before joining Kindle Unlimited. With the access to KOLL, you’ll quickly realize how many books are there for you. If it’s a lot, you can obviously get Kindle Unlimited. If not, and if you really believe in ebook subscription, you should compare Kindle Unlimited with Scribd. The other service offers many books from the Big 5 publishers. 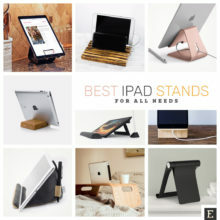 Entire catalog of Kindle Unlimited books – the landing page includes popular titles in romance, literary fiction, biographies, as well as books with narration.